No one to ride with and bored? Feel like you have plateaued? 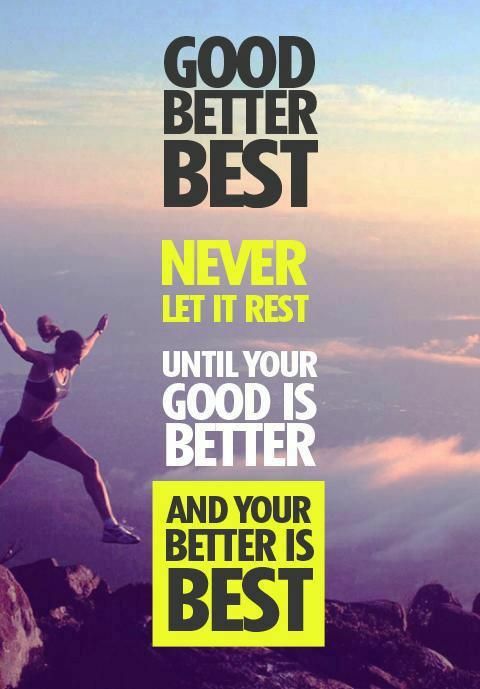 Want to continuously improve? 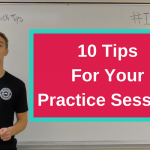 Feeling the need to practice? Unleash your potential on the snow by adding the focus of practice and continuous improvement to your snowboarding. 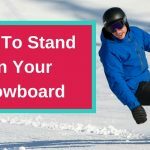 Build strength, stamina, and skill by practising specific movements from the 5 How To’s of Snowboarding. 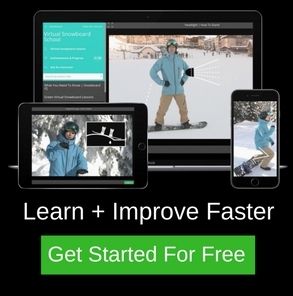 Master all the lessons in the Virtual Snowboard School to take your riding to the next level. Check out these 11 tips to help you have an effective practice session on snow. Start off with a warm-up lap to get your brain engaged and body ready for exercise. 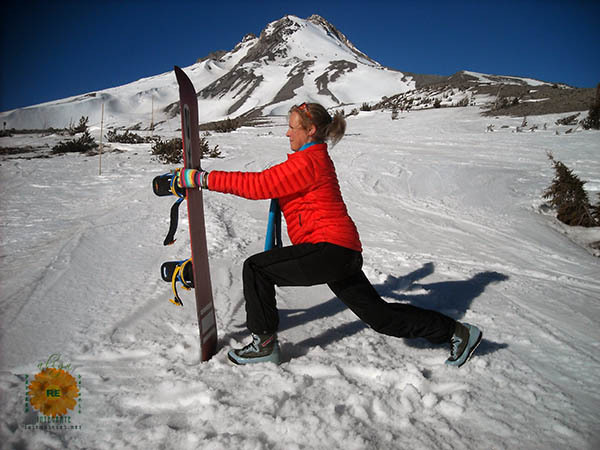 In your warm-up lap try some squats while moving on the board and ride a few turns in switch. This is awesome to get your brain in gear and body awareness on point. Usually, it is better to practice in the morning so that you are fresh and attentive. Runs are usually quieter / less busy first thing, giving you more space to practice. Before you set-off, make sure no one is coming and always look uphill. This helps avoid collisions, keeping you and other mountain users safe. Don’t loose awareness when deep in concentration. Keep your head on a swivel to keep your distance from trees, people or other obstacles on the run. Look for and practice on runs with minimal traffic. It is much safer just to move to a quieter area of piste if the run is busy. If you can’t help avoid the rush be sure to practice at the sides of the slope to keep safe and out of the way. Ride at the speed of traffic on the run. Keep your awareness if you are practising in the middle of an empty slope, the traffic on the run can suddenly increase. If you want to have a practice day, focus on one or two manoeuvres at a time. Repetition is the mother of skill. Repetition will lead to results by keeping the focus narrow. When you are getting continued success and it becomes second nature, integrate that skill into your riding and dominate the next. 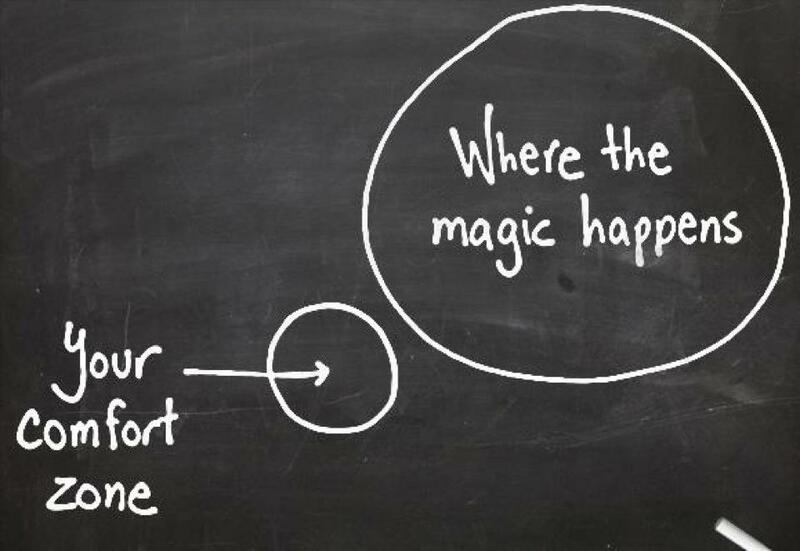 After you are comfortable with a movement on green terrain, try it in terrain that pushes your comfort zones. This will highlight skill weaknesses and give insights into areas of improvements. Always scout at the top of a run and have an exit strategy to get out of the terrain if the going gets tough. If you feel yourself get overly frustrated or angry, stop. You will lose concentration and could get hurt. Head for a coffee or take some big deep breaths to reset your attitude. Ultimately remember tomorrow is another day if your mood hasn’t shifted. Take the time to record yourself. Visual feedback is hugely important and provides great insights. Use a friend with a GoPro on a stick as it gives a much more stable video. Make sure they stay close to you because when they get a couple of meters away it will look very far away on video. Practice in as many different conditions as possible. This will make you an all-around excellent snowboarder. Riding in conditions like ice, slush, low-lying cloud and crud will help you improve and get a feel for different kinds of snow as they all ride remarkably different. You will feel like you’re riding like superman when you get a bluebird with crisp perfect snow because of practising in less than inspiring conditions. Don’t use the same runs every day because you can get overly comfortable and lazy. Riding new and unexpected terrain is one of the best ways to improve your snowboarding IQ. Practice movements in switch not only with your lead foot to help improve your body awareness on the board. 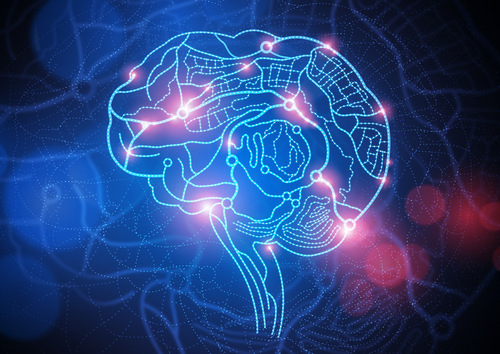 Proprioception is the sense of knowing where our body parts are in space. If you do not ride any switch, your lead foot can become so dominant that riding switch feels like a different sport. 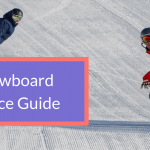 Mileage and focused practice are the best ways to refine technique and improve your snowboarding. 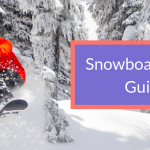 Whether it’s just one lap in the morning to warm up or you go all afternoon, you will be boosting your skills and gain a new awareness of your body on top of your board. Have fun out there! and I am taking it all in. Thank you so much for your kind words, Kim. Happy to hear it’s helping you out! If there’s anything else I can help with or you have any questions, please do not hesitate to ask.